If you want to make your cooling as efficient as possible, then you can start with the Mishimoto Silicone Ancillary Hose Kit. Over time, it is common that your factory coolant hoses will expand, and eventually cause a leak from the clamps, or they will expand far enough to rub against other moving components and cause damage. The strands inside the construction of the factory hoses will separate causing the factory hoses to expand. 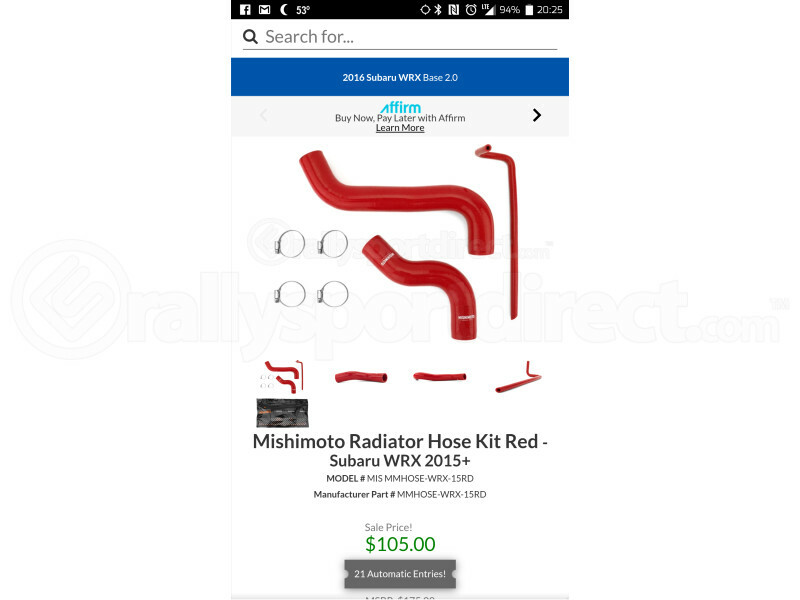 Mishimoto addresses this issue by fabricating each hose from 4 layers of high-grade heat resistant silicone with embedded fibers. These hoses have also been designed to have a high tolerance against pressure, as well as oil degradation to promote longevity and years of performance. This kit includes replacement hoses for the PCV, as well as the coolant lines. A total of 12 hoses will be included, and this particular kit will come with red hoses to add a cleaner look to your engine bay. Would this kit work for a 17 STi? If not is there another kit that would? Does the ancillary hose kit include everything in the radiator hose kit? Is there a list of what each hose is suppost to replace? A: Mishimoto should include a list in their instructions which will be included in the packaging. A: THAT IS A COMPLETE LIE. THEY DO NOT PROVIDE ONE NOR DO THEY HAVE ONE FOR YOU AT ALL.